American Fiberglass Tank Repair expands to offer custom-manufactured tanks, troughs and other composite structures for use in drinking water supply, food processing, wastewater treatment, and chemical processing. 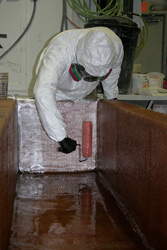 American Fiberglass Tank Repair technician making custom trough in our fabrication facility. 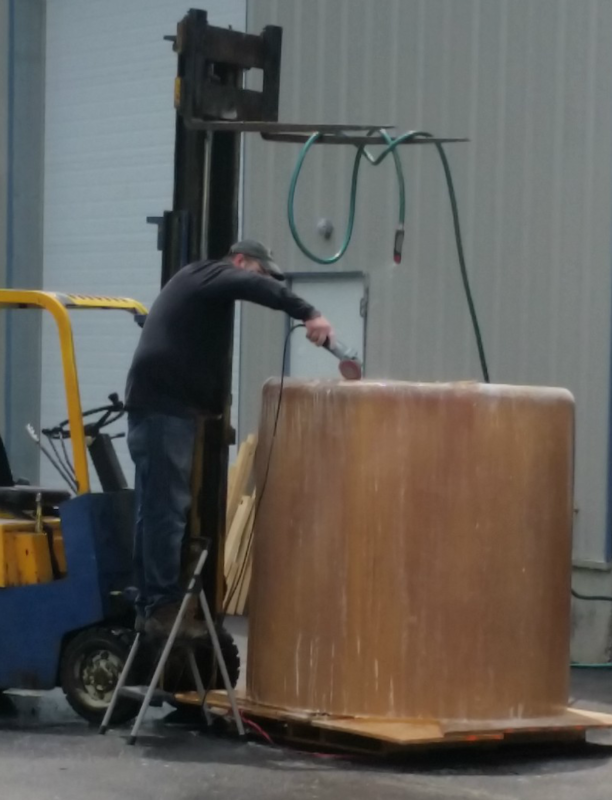 Whether a custom replacement in part or full is needed, American Fiberglass Tank Repair has the fabrication facilities and expertise to produce anything in fiberglass, according to your project needs. American Fiberglass Tank Repair is now offering custom-manufactured, specially-constructed tanks, troughs, and other composite structures made in its in-house fabrication shop. American Fiberglass Tank Repair (AFTR) is known for its coast-to-coast repair and maintenance services for all industries using fiberglass vessels. Some of the vessels serviced and now custom manufactured are used for drinking water supply, food processing, wastewater treatment, and chemical processing. American Fiberglass Tank Repair, LLC, provides strategized services using regional technicians for its field service teams. Serving all of North America and focusing on the needs of the potable and wastewater industries as well as chemical processing operations, these fiberglass field service teams consist of specialists in the repair of fiberglass nozzles, tank leaks, shell cracks, as well as internal corrosion coat restoration, on all fiberglass vessels. Engineer-driven, the AFTR field service teams are seasoned technicians trained by the composites engineers who head up the AFTR operation. AFTR field crews are equipped to supply repairs and services to fiberglass vessels in all 50 U.S. States, Canada, Mexico and the Caribbean. or call our Customer Service Engineers directly at (877) 427-0090. American Fiberglass Tank Repair technician making custom tank in our fabrication facility.American Fiberglass Tank Repair can custom manufacture fiberglass vessels used for drinking water supply, food processing, wastewater treatment, and chemical processing.